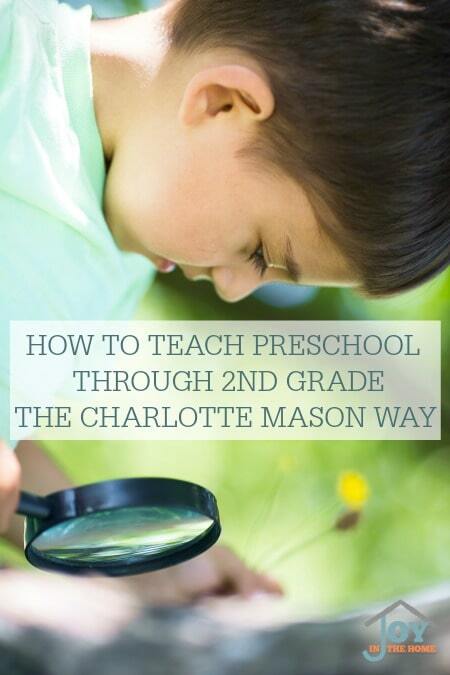 If you are new to the Charlotte Mason method of home educating your children, you may be a little overwhelmed on how to teach preschool through 2nd grade the Charlotte Mason way. I hope these ideas not only erases some of these feelings but gets you excited for the good things that will come from learning this way. This is the best time of the a child's life to solidify the natural way child learn and give them the time and tools to embrace their curiosity and learn from hands-on learning. It is important to not get overwhelmed by academics but to encourage things that will give children ideas, and opportunities for them to figure out their own ‘why' to their questions. Charlotte Mason created a list of attainable things she expected a child of 6 to know. I find this list rather overwhelming and not fitting with our family's goal for our own children, so using her list, I created my own attainable list for this age and I encourage you to create your own list of attainable things to learn, finding inspiration within the list that Charlotte Mason created. 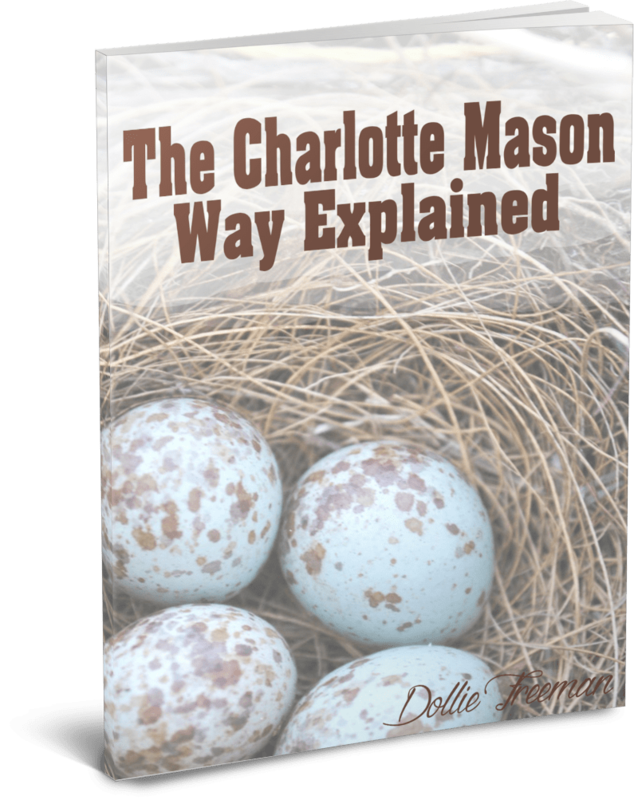 Charlotte Mason was very particular about the kinds of books that were read to children. She desired them to hear engaging and thought-provoking stories, not twaddle stories that would leave a child without ideas or inspiration for play. Some of my favorite books to read to this age group have been proven to be classical books for many generations. This can be a good test for what books you should read to your children. I also read a large amount of picture books to my children. I try to be sure that these books are full of realistic paintings or photographs that will capture their imagination and inspire them to ideas to fill their days. Rather you are reading aloud or doing a lesson of a subject to be learned, like reading, spelling, math or history to name a few, you will do best to keep the lessons short for their attention span and ability to absorb the lesson being taught. If you find that your child is struggling with keeping their concentration, consider taking brain breaks to get the wiggles and the need to move out of the way. I love to see the delight that hands-on learning brings to a child, rather it is from a learning box activity, manipulatives or cooking with mommy. This age group needs a lot of hands-on learning, especially for learning math concepts and early learning. During the preschool years, I offer a lot of learning activities to keep my child learning, while being entertained during lessons with the older children. A child is born with the ability to narrate, but we often quite this ability and encourage our children to stop talking as much as they desire to do so. Start with having your child narrate small sections of picture books, play with their friends, trips to the store or their own play time. This skill is very important to later skills of longer narrations needed for bigger living books and for the time when written narration is required of them. History of Bible times, the world and of American history can be very interested to the youngest of children. Having them learn Bible verses early is something that has always been important to our family. Introducing your children to people of the Bible and history can be very easy with picture books and giving them the opportunity to implement these ideas in their play, as a form of narration. All of my children have loved nature studies. They have loved to learn to observe in nature and learn all they could about an animal or creature that has perked their curiosity. Introducing a journal at an early age is a great tool to getting them to capture what they see and develop their hand muscles for writing.